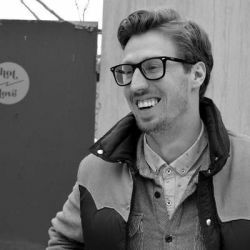 Andrew is an artist, illustrator, designer and teacher who also dabbles in front-end web development. Originally from Bailey, Colorado, I now live and work in Denver. I'm the creative director at Beanstalk Digital, and an adjunct professor of communication design in the Art Department at MSU Denver.